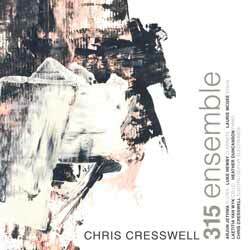 If, like me, you're not a huge follower of modern experimental music then 315 Ensemble eases you in to what. at times, can be a wonderful and beautiful world. There's a mix of white noise, digital sampling, ambient electronic textures, and classical instruments, on this album's 2 pieces (18 min, 29 sec). It's interesting and does offer something a little different. It's bold, original and attention grabbing. For fans of modern Classical music this offers plenty to engage your senses.